From the time the Lenape first discovered the waters of Lake Hopatcong some 12,000 years ago, it was a special place. A deep spring-fed lake formed by glaciers, it was the perfect setting for a Native American community. Its forested shores supported ample game while the water furnished abundant fish. The body of water the Lenape knew was twelve feet below the level of the Lake we know today. In ensuing years, dams and dredging have increased the Lake to its current size. Even at its original size, Lake Hopatcong would be the largest lake in the State of New Jersey. Following the War of 1812, the United States entered a great era of canal building. It can perhaps be considered America's first attempt at interstate highways. It was in this era that the idea of the Morris Canal was conceived. Like any canal, the Morris Canal required massive amounts of water. Lake Hopatcong was ultimately raised to its current level and was the Canal’s single largest source of water. Along the way, other sources of water were linked - such as the Musconetcong and Passaic Rivers and Greenwood Lake. When more water was eventually needed, the Stanhope Reservoir (now known as Lake Musconetcong) was created. While never realizing the economic success its founders had hoped, the Morris Canal had a tremendous effect on Lake Hopatcong and it set in motion the events which would lead to the Lake's rise as a great resort. It spurred the building of a railroad to connect several mines in the area to the Lake so that they would have access to the Canal. The ten mile long railroad ran from Ogdensburg to the Nolan’s Point section of Lake Hopatcong and was completed in 1866. As railroads emerged as the modern transportation alternative, it became clear that a railroad to support a canal contained an unnecessary step - the canal. In 1882, the Central Railroad of New Jersey completed a connection from its main tracks to the Ogden Mine Railroad terminus at Nolan's Point. It did not take long for the Central Railroad of New Jersey management to realize that there was great passenger potential for this newly formed line. Here was a direct rail link to a large lake just over one hour from numerous large cities, as well as New York City itself. In September 1882, the first passenger excursion train arrived at Nolan's Point and the tourist boom at Lake Hopatcong was on! The Lackawanna Railroad, whose tracks passed by the southern end of Lake Hopatcong, quickly added a station to share in the business and two major rail lines were now serving the new resort. Arriving passengers needed activities to busy themselves. This led to the building of pavilions at Nolan's Point to entertain the tourists. One day excursions soon led to a desire for longer stays at this pleasant locale causing quite a construction boom. Prior to the Central Railroad reaching the Lake, only four small hotels existed at the Lake. By 1900, over 40 hotels and rooming houses were operating at the Lake. Many of these early hotels and rooming houses were concentrated around the railroad at Nolan's Point, but building soon spread to other areas of the Lake. Since early roads at the Lake were poor or nonexistent, the main source of transportation was water. As soon as tourism developed so did boat service. Competing steamboat companies met arriving passengers and took them to all parts of the Lake. Most goods and services were also delivered by boat. The single most important factor in Lake Hopatcong’s growth as a resort was the construction of the Hotel Breslin completed in 1887. This hotel's construction by a group of wealthy and influential individuals (including Garrett Hobart, who later served as Vice President of the United States under President McKinley) gave Lake Hopatcong instant credibility as a resort. As Gustave Kobbe noted in his New Jersey guidebook of 1890, "The Hotel Breslin gave to Hopatcong its first decided 'boom,' for it brought to the Lake the element of wealth and fashion, in the wake of which everything else follows." At the same time that the Lake was becoming a large hotel resort, other development was also occurring. Many early visitors camped at the Lake or built crude cottages. Wealthy individuals also were learning of the Lake and building Victorian "cottages," including an entire millionaire's community around the grand Breslin Hotel in Mount Arlington. As with any "hot" resort, Lake Hopatcong was a magnet for many of the "rich and famous" of the day. The most famous female actress of her era, Lotta Crabtree, had a home built here in the 1880's. Hudson Maxim, noted scientist and inventor, came here at the turn of the century and built a large estate in the Borough of Hopatcong. During the heyday of Vaudeville and Burlesque, the Lake became a favorite rest stop for performers during the summer when most theaters closed. Bud Abbot, Bert Lahr, and Milton Berle were among the many show business people to spend considerable time at the Lake. The center for much of this activity was Joe Cook's Sleepless Hollow in Hopatcong’s Davis Cove. Cook was a popular Vaudevillian, comedian and musical theater star who lived at the Lake from 1924 to 1941. Among other amenities, his home boasted a nine hole golf course, two bars, and tennis courts at which celebrities could often be found. Lake Hopatcong's run as a major northeast hotel resort lasted from the 1880's through the Depression. Ultimately, the dreadful economy of the 1930's, the development of the automobile, which led people to seek more “exotic” destinations, and the onset of World War II led most of the Lake's hotels to close. The few that survived slowly closed in the ensuing decades, with the final operating hotel burning to the ground in 1972. As with any resort, recreation played an important role in the Lake's development. Numerous clubs and organizations have operated on the Lake since the 1880's. The Lake Hopatcong Yacht Club opened its clubhouse, which still stands, on Bertrand Island in 1910. The Maxim Park Yacht Club is long gone but its club house still stands as a private home on Cow Tongue Point. The Garden State Yacht Club started in an old lakeside mansion and one-time hotel. Unfortunately, fire stole that building but the club rebuilt and occupies the same site on Point Pleasant. The trolley also came through Lake Hopatcong and linked the Lake with many communities to the east. As with many trolley companies, the Morris County Traction Company sought to develop an attraction at the end of its line in order to encourage business on weekends. For that reason, it extended its line to a beach at Lake Hopatcong in 1910. This led to amusements being opened and Bertrand Island Park was born. In 1924 Bertrand Island Park constructed the first roller coaster in the area and evolved into a full-scale amusement park. It soon had competition from an amusement park at Nolan's Point which also built a roller coaster. 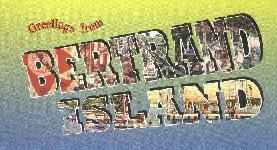 Ultimately, Bertrand Island won out and was a much loved institution at the Lake for the next six decades. In the years following World War II, the Lake continued to be a popular summer spot, as it evolved into a middle class bungalow and second home community. Featuring such popular night spots as The Mad House, Sheppies, and the bar lounge at the Bon Air Lodge, the Lake remained a popular summer jaunt. With the 1960's and the gradual completion of a major interstate from New York City, the Lake's evolution accelerated. By the mid 1970's, almost all vestiges of its days as a summer resort had disappeared, as more and more homes became year round residences. 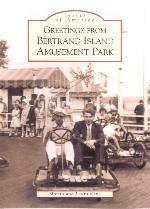 When Bertrand Island Amusement Park closed in 1983, the evolution was complete, and for all intent and purpose the Lake had become a residential community. Today the Lake consists predominantly of year-round residents living in four towns and two counties. While much has changed since that day in 1882 when the first excursion train pulled into Nolan's Point, Lake Hopatcong remains today a unique and special recreational and environmental resource. Narrative and Book Cover Photos courtesy of Lake Hopatcong Historical Museum. 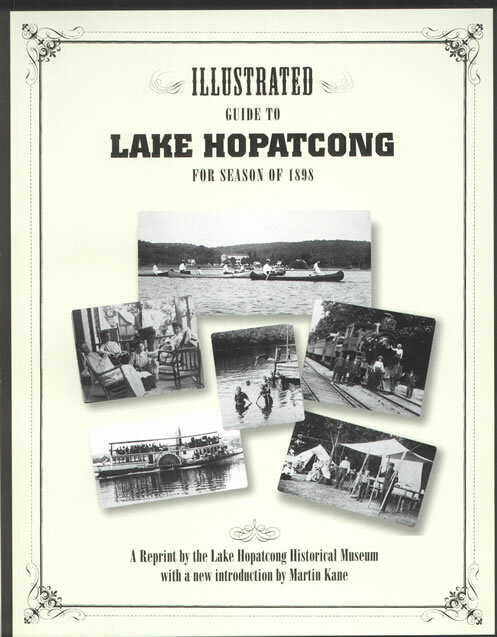 To learn more about the history of Lake Hopatcong visit www.hopatcong.org/museum.